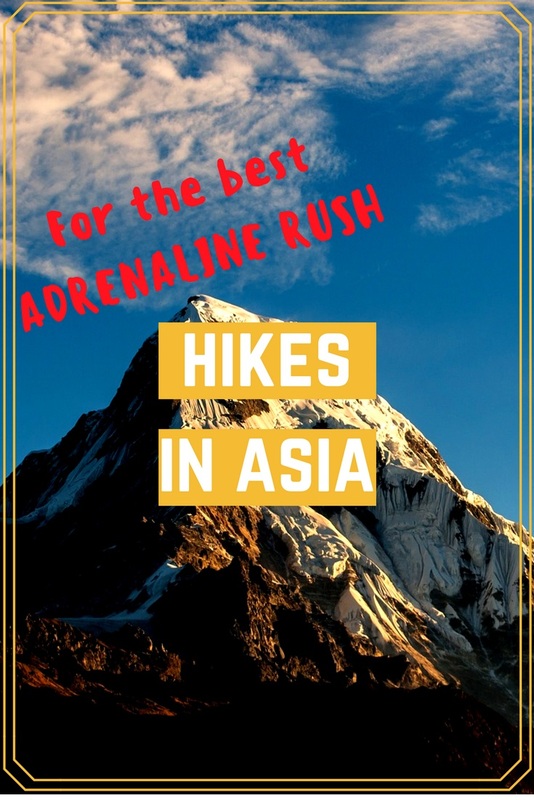 Asia is renowned for its steep, rough trails and exciting hiking opportunities. If you want a real adrenaline rush, browse through our top 5 recommendations. Only the adventurous need apply! This route will take you all around the Annapurna massif, and the whole journey is around 120 miles. That means a lot of hiking, but you can see the marvels of nature at work. There are lots of hot springs, Tilicho Lake is absolutely astounding and the Annapurna Sanctuary at the base camp will take you back to an ancient time. You can hire a guide and pack animals, though it’s ok if you go on your own. Either way, we recommend this trail because it will take you from a luxuriant sub-tropical landscape to an arctic one. The Trans-Himalayans are covered in snow which explain the amazing light, so you’ll have the chance to take awesome pictures. But you’ll also get to meet Tibetan monks and locals, for an open exchange of ideas and discovering new mindsets. Plus, the dangerous peak of Thorung La provides an awesome outlook point. Another one of our favorite routes is located on Mount Rinjani. There are even trails that would spike up the adrenaline levels of beginners, so you can choose either the Senaru or the Sembalun routes. These surround the massif from two opposing sides, and they offer a different experience. The Sembalum is an easier journey at first since you’ll be mostly traveling through flat grasslands, located in the open sun. The Senaru trail is steeper, and therefore more difficult. You’ll travel through a shaded rain forest, then attempt a rocky climb at the end. You won’t have to pack a lot here, a small backpack with all the essentials is fine. So you need a rain jacket at least, because of all the mist and rain. You’ll also need a good backpacking knife as you’ll have to cut some brush on your way. Summiting Mount Rinjani will take you through waterfalls, forests, bushes and tall grass. You’ll also have the chance to meet the local wildlife, like the friendly Grey Monkeys. This hike will take you to Mount Everest, but from the Tibetan side, not from the Nepalese one like most tourists start out. Though this route is extremely difficult, you’ll see a glorious tundra landscape, including the dangerous Rongbuk Monastery that’s at an altitude of more than 16,000 feet. This trek is one of the most dangerous trails you can attempt, which is why it’s illegal to start it out without hired professional assistance. That’s because the air is extremely rarified, which makes it harder for you to breathe. 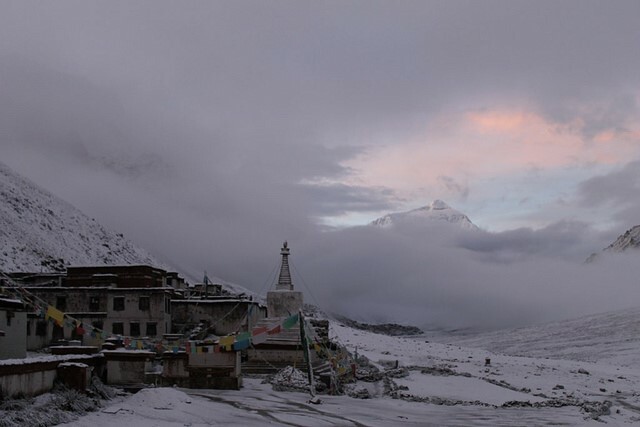 Therefore, you’ll be very tired and feel chest pressure, so it’s recommended to acclimatize first at Dingri before getting to the base camp on Everest. But this isn’t the only adrenaline-spiking factor. The vistas are amazing, even better than if you were to climb from Nepal. The solitude is inspiring, and the sunsets, especially seen from Chomolungma, are enchanting, lighting up the whole massif. And you’ll get the chance to see mounts Everest, Lhotse, Makalu, and Cho Oyu, which are among the highest mountains of Earth. When you reach the last one of these, you’ll have a wonderful outlook on everything: your trail, the tundra, the glaciers and the open sky. This trail takes you on a journey in the Indian Himalayas, at the border with Tibet. 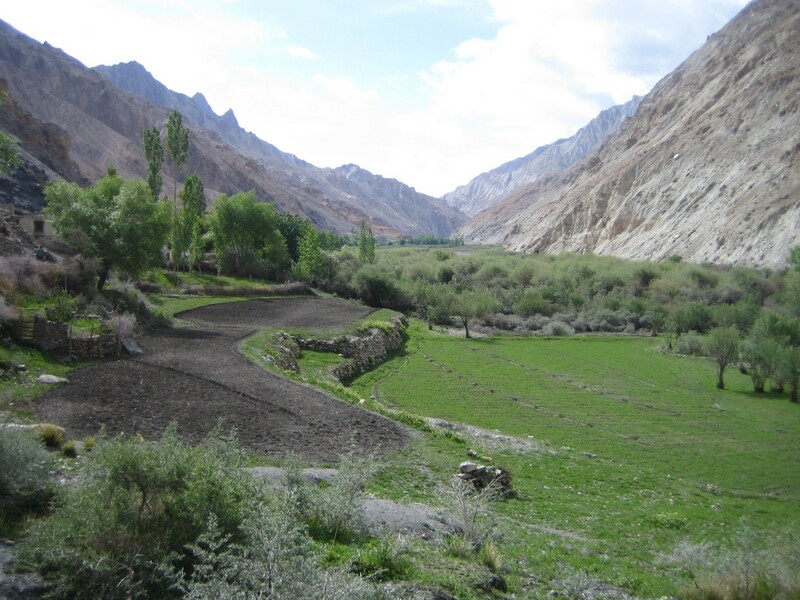 The whole journey takes about a week, and you’ll be traveling 70 miles around the Markha Valley. You can try this hike from the early summer to mid-autumn, but you should know it has a pretty high difficulty level. There’s also a high risk of altitude sickness too, because of the rarefied air at such a high altitude. So you can either follow the trail on your own, or you can hire a guide. Just imagine you’ll have to sleep in a tent at such terrific heights, even the few high passes here are in the ballpark of 5000 meters so they’ll prove quite a challenge. The clear blue skies, tundra-like landscape and snowy peaks are the main attractions here too. But the home stays provide another interesting experience since you’ll be living with a different family each night. 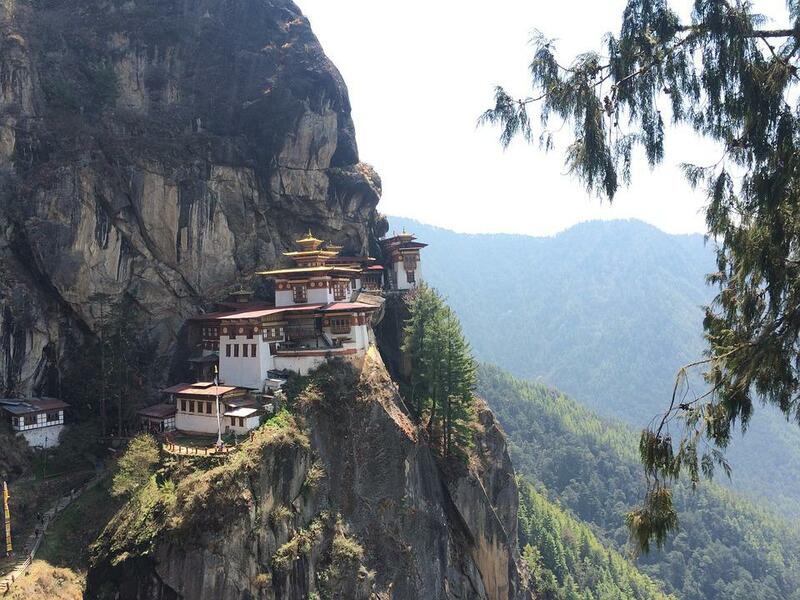 You’ll get to understand the Buddhist culture, meet the local people, climb the canyon walls, and travel the alpine meadows. The varied fauna here encompasses blue sheep, pikas, marmots, golden eagles, and ibexes. The Gompas are amazing too. These Buddhist fortresses have a specific design, following a geometrical pattern considered sacred, so you can get a keen sense of the local’s spirituality. The most dangerous trail in Bhutan, you’ll start in Paro and end up in the solitude of Lunana, where you can go further up to Bumthang. The whole journey needs three weeks, but you also have to add another few rest days on the way. This trek is another one that challenges your respiratory system because of the high altitude. Just imagine that all the highest passes and camps are located at about 5000 meters, so that will definitely get the oxygen out of your lungs and pump adrenaline into your system. Even the day hikes are pretty difficult because of that, so the whole trek is rough. The remoteness of this virgin territory makes it even more dangerous if you get stuck. The climb is another challenge, since it includes tall, steep landscapes, challenging you to hike a mile up in about 9 hours. You have to admit we’ve presented you an enticing array of hiking routes. Only the most dangerous, adrenaline-generating treks are on our list. So which one tickles you pink? Let us know in the comments. Rebecca lives in USA, but loves hiking all over the world. Her favourite is Everest Base Camp Trek in Nepal. It usually takes 16 days, but she likes to slow down, enjoy mountains, company of other adventurers and take more pictures, so it took her 28 days last time. Another of her passion is the ocean, so all short and long hikes along the ocean shore bring a lot of joy. She also writes for HikingMastery.com. I’ve yet to make my way to Asia but I’ve heard so many things about the Anapurna Circuit so we’re going to be heading that way next year! Great round up couple other I’d not heard of so will check them out. 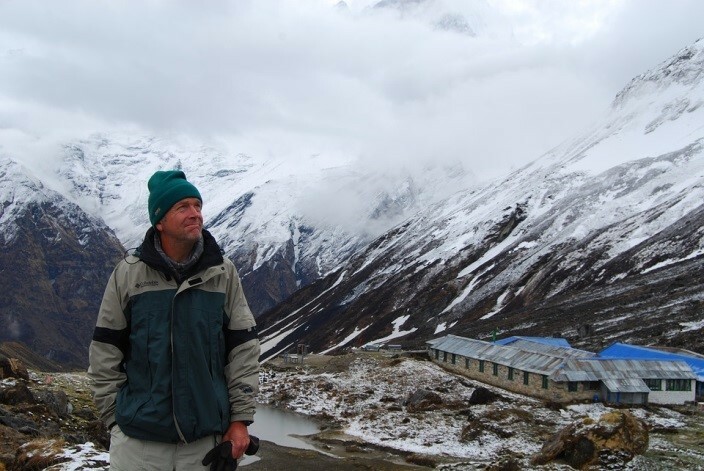 I’ve been choosing between Annapurna or Everest Basecamp once I return to Nepal. 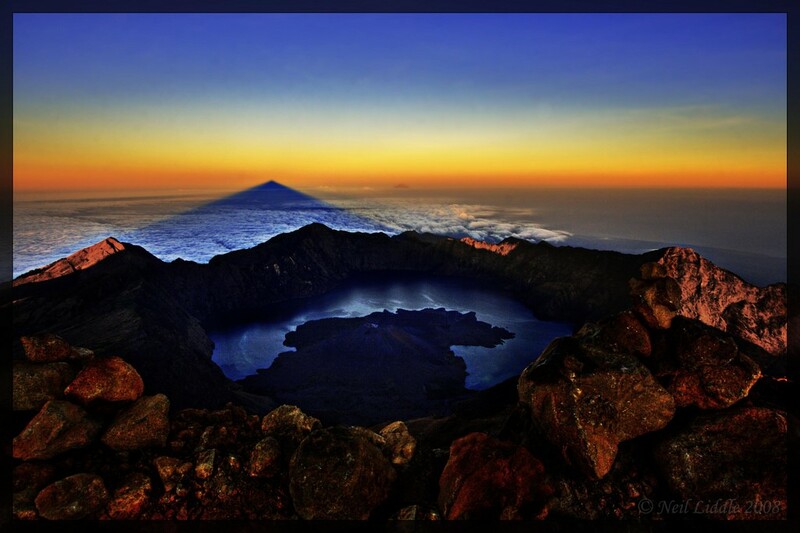 I think I’ll go for Mount Rinjani, Indonesia. I love it that when I reached the summit of this mountain, Im gonna go through falls, forest, plus some wildlife experience. Thanks for your post. Great round up couple other I’d not heard of so will check them out. One of the most amazing roundup list for the best hiking places in Asia but if anyone wishes to terk in the snow-capped mountains and strident 14 km hill climb and one of the most amazing view from the hilltop and get blessed with in the lap of Lord Shiva then one must run for an expedition of Churdhar a remote place in Himachal Pradesh India or Amarnath with one of the most amazing mingle of Religion, faith, and Adventure.